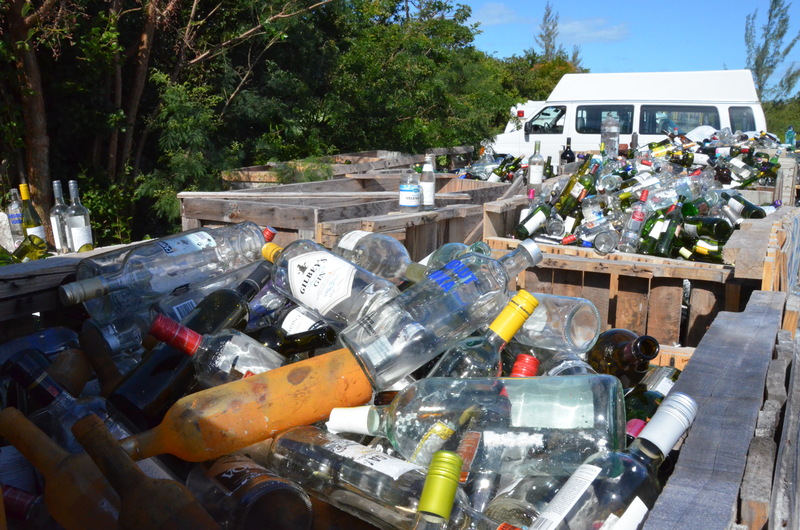 The One Eleuthera Foundation received a $40,000 grant from Global Environment Facility(GEF) Small Grants Program (SCP) Bahamas to launch a recycling program at SEEP for Eleuthera. SEEP launched a small recycling depot earlier this year but hasn’t been able to get the recyclables to the right places. This grant will help to move the recycling program one step forward. Recycling bins will be placed in all schools in South Eleuthera. Bins will also be placed at public events like homecoming to encourage recycling. Some of the purposes of this program is to manage, collect, sort and ship waste in an effort to reduce the high volume of garbage received by poorly managed landfills on the island. The goal is to get recyclable materials out of the depot just as quickly as they come in. Glass will be sorted and used locally for preserving and art, some will be sent to the brewery in Nassau and also go to locals who can crush the remaining glass to be used in construction. Aluminum cans will continue to go to the local library for their Cans for Kids program and plastics will be shipped to Cans for Kids. Connected to all of this will be public education and awareness, focusing mainly on Primary Schools and local eco clubs. The hope is that Eleutherans get a better understand of recycling and why it’s important, reduce the amount of trash they produce and that recycling becomes a part of their daily life.